Provenance: Recorded to 2" tape (Studer) and DSD64 (Sonoma System) simultaneously. Stereo Mixed from 2" tape to 1/2" tape and DSD64 simultaneously. 5.1 Surround mixes mixed from 2" tape to DSD 64 in 5.1. Mastered to CD layer using 1/2" tape. Mastered from DSD64 for SACD layer and DSD Downloads. 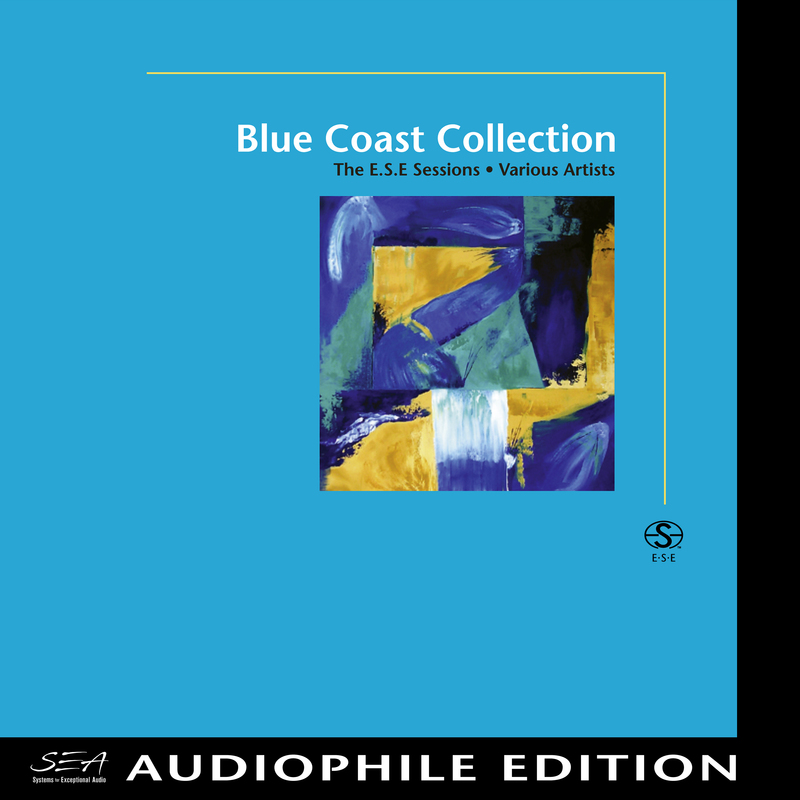 Blue Coast Records’ first release features exceptional acoustic recordings performed live in the studio without the use of headphones, overdubs or digital effects. Label founder, and five time Grammy-Nominated producer/engineer, Cookie Marenco, assembled a cast of world-class performers, engineers and technicians familiar with her passion for audio excellence and appreciation of skilled musicianship. The recording sessions led to a patent-pending recording technique called Extended Sound Environment (E.S.E.). Originally conceptualized for the surround environment, E.S.E. makes use of room and direct microphone placement to optimize full tonal response from the instruments and character of the room while allowing the musicians to position themselves to hear and respond to each other without the use of headphones. Attention to eliminating phase, blending the room and direct mics, creating balanced dynamics, monitoring while recording in surround all under Marenco’s production guidance brought stunning results that truly places the listener in an audio hologram of the music.